When it comes to book marketing, I frequently mention that promotion is something authors need to think about early -- even before your books are published. A part of that is building your author platform and gaining visibility (and an audience of readers anxious to buy your book when it's released). This year one of my biggest projects involves building visibility under my horror author pen name, A.J. Klein. And to give you a better idea of what you can do to build your own visibility before a book launch, I'm going to share my simple 10-point promotional plan with you. These are my main goals and projects related to horror writing in 2016, with an aim of getting my name out there and connecting with readers who might have an interest in upcoming books. Let's jump right into the list, and then I'll expand upon each of these points. Publish at least 3 short stories in magazines or online publications. Publish several pieces of flash fiction (some on third party sites, some on my own blog). Have at least one story accepted for an anthology. Publish several nonfiction articles online (on third party sites) covering the genre. Regularly update my author blog. Maintain active involvement in the HWA. Keep my author Twitter account updated. Launch a new website related to the genre. Revise my first horror novel manuscript. Here's some additional background on key elements of the plan. You'll notice this actually covers three out of the ten points in my plan -- short stories for magazines and web publications, flash fiction, and one piece for an anthology. Most of this involves pitching stories to third party publications and editors. This is the first time I'm doing this for my own fiction (I've done it on behalf of clients over the years though). That makes it a little nerve-wracking. Yes, I still occasionally get nervous when I pitch prospects. I'll worry when that stops happening. In addition to pitches, I expect to publish some flash fiction on my author blog. The point of that is to let me be a bit more experimental (like I am with QuickMystery.com, where I publish very rough short mysteries). At the same time it lets me gather feedback from readers directly, and those stories could form the backbone of an email marketing push down the road. My initial work in the genre was nonfiction, and I'm hoping to expand that more this year by publishing some combination of reviews, essays, and interviews. Again, it's largely about getting my (pen)name out there. This is a tougher one for me because of my freelance background. 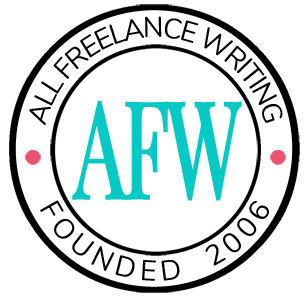 Horror genre publications generally don't pay anywhere near my current freelance rates for nonfiction content. So, instead of taking billable hours away from other projects for these articles, I plan to budget marketing time for them instead like I do for guest posts. This way I can also focus on publishing on sites I really want to be associated with rather than worrying about whether or not they pay. If you were to take this route, pay rates might be more important to you if you don't have other income streams or if you need a certain number of "pro market" credits still to become eligible for membership in your writers' organization of choice. If you're not concerned with those things, consider it marketing and worry more about the visibility side of things. I actually got a major jump on this yesterday and finished the website redesign. Well, "finished" for now at least. As I release stories, books, artwork, and some other planned content I'll create the custom homepage instead of having the blog appear there. I'll also add a media kit and some other resources when they're available. As for the blog, my biggest goal is to simply publish there regularly. It's been sitting untouched for quite some time because my horror projects were on hold while I finished other things. One of today's projects is actually coming up with the initial blog post list. The reason the blog is important is that it's a way to keep people coming back to the site -- to build regular readers who actually want my books when they're released. If you launch an author blog (something I highly recommend), just remember that you need to publish something other than updates about your books. Unless you're already a well-known author, most visitors don't care about those updates. I've been an active member of the Horror Writers Association since 2013. In that time I've gotten involved when I can. I'm currently an assistant promotions coordinator for them, helping mostly with social media projects. I built the website for their HorrorSelfies.com campaign. And I served on a sub-committee that made the indie author membership requirement recommendations (and I'm happy to say that worked out -- indie authors are now eligible for active membership based on book sales). I plan to continue to be as involved as I can. It's a great networking opportunity, and I've learned from some great folks there. It's like my virtual family. If you're getting started in a new genre, I highly recommend joining a professional organization if you can. The contacts you'll make, the relationships you'll build, and the things you'll learn can be priceless. And don't just join so you can slap your membership status on your website. Get involved! I'm not being overly ambitious about social media for this pen name right now. I'm focusing almost entirely on Twitter. Again, I have a bit of luxury here in that I already have a social media presence under my real name. So if I really want to get something out there, I still can. If you're a new author and you're starting from scratch, I recommend choosing two (or no more than three) social networks. You want to avoid spreading yourself too thin so social media stays beneficial rather than becoming a distraction from writing. Don't just post news updates or self-promotional drivel though. Have conversations. And share things your followers might care about (like *gasp* promoting something from other authors). One of my most successful strategies in attracting clients and other types of customers over the years has been to launch websites in a targeted niche or industry. My first was my indie music site which not only gained me a lot of recognition and industry contacts, but it also brought clients into my music PR firm. I'm hoping to do the same here. In this case I'm looking for more readers who might care about future book releases. So there's no immediate "sell" to worry about, and I can focus exclusively on building a viable publication in the genre. There are two options I've been torn between, but I'll only have time to develop one of them this year. It will either be WomenInHorror.com (featuring female horror authors and strong female characters in horror fiction) or IndieHorrors.com (featuring reviews, interviews, and other articles related to indie horror books, indie films, and indie horror games). If you're a fan of the genre, I'd love to hear your thoughts about which you'd rather see. This is a more advanced and time-consuming project. If you've never run your own website before, I'd skip this. Instead focus on your author website and blog and getting your writing published on third party sites. This is something that makes sense for me because I have extensive experience in web publishing across a wide variety of niches, and I know what's involved in building the site compared to what I can expect to get out of it. In any promotional plan you'll want to focus on your own strengths. Your list doesn't have to be the same as mine. This might be near the bottom of my list, but it's actually my most important project in this plan. After all, there's little point in building visibility if the book doesn't make significant progress towards being published. The novel in question is the first in a planned series. It's loosely based on an urban legend from my college town. It's written. I worked on revisions last year. But I need to get through them (and several rounds of them). I'd like to have the manuscript ready for an editor's hands by the end of this year. This is a bit lower on the list because it has to wait a little while however. I'm finishing up a round of revisions on a mystery manuscript before coming back to this one. By no means do these ten tasks represent all you should do to build your platform and name recognition before publishing a book. But they'll take you pretty far. What are you doing to build your visibility and writer platform before your next book is released? You can share your pre-launch promotion plan, or even just your favorite tactic, in the blog comments. Great minds think alike. 😉 I hope it works out well for you Sinawo!